In exclusive partnership with KNect365, BrightTALK brings you insights from a selection of the wide-ranging and highly engaged audience of institutional investors, hedge funds, financial advisers, DFMs, fund selectors, academics and all corners of the ETF and index industries. Tune in for the latest market intelligence from Europe's leading ETF conference. 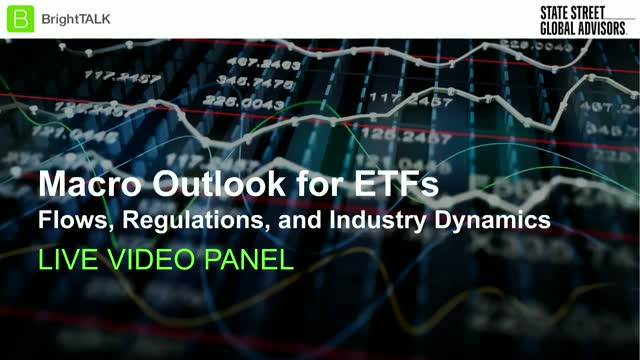 Join this discussion with industry experts as they debate the hottest ETF topics, trends and the biggest opportunities and challenges for sophisticated investors in passive investing. * How can you filter to make sure you have the right choice? * What data sources are used by the most impactful teams? * What investment opportunities are out there you should know about? In your activities demystifying ETFs, are you actually having to explain what an ETF is? Are ETFs viewed as weapons of mass destruction or capable of destabilising markets? What is the range of audience you meet asking about ETFs? What differences do you see between European and the US markets? There are lots of large players out there - are there any benefits to new providers arriving in Europe?